This is legacy software and supports Mac OS X 10.11 and earlier. 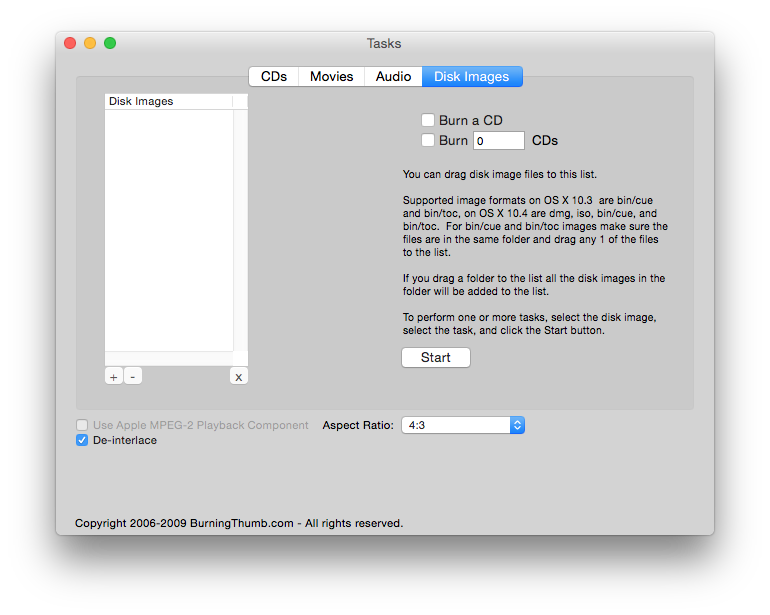 It is available here for use with older Macs and is not intended for use on macOS 10.12 and later systems. VCD and MPEG Tools is an easy to use, task oriented, Video CD conversion, MPEG conversion and CD duplication tool for Mac OS X 10.6 or later. 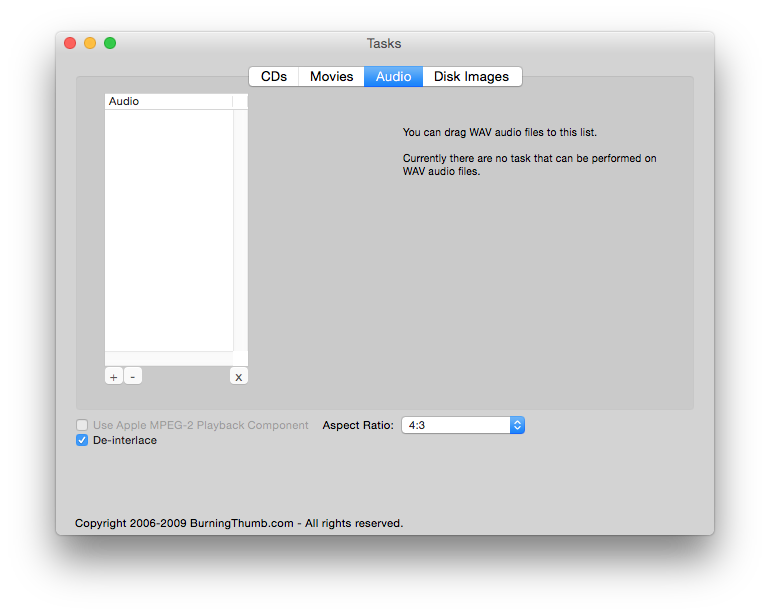 Because VCD and MPEG Tools converts movies to the Universal MPEG-1 video and uncompressed audio formats the converted movies can be played on Windows or Mac OS without the need to install any additional Quicktime components. It doesn’t get any easier. 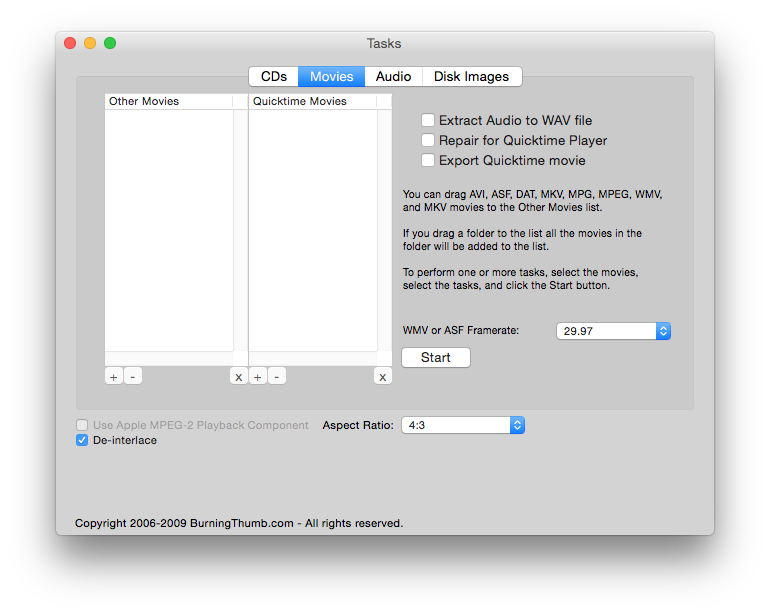 Apple no longer supports Quicktime and so version 1.7 of VCD and MPEG Tools which was released on 2016-10-07 will be the final release of the App. If you need a tool like this, now is the time to get a copy. And its free to try. Simply download VCD and MPEG Tools and try it free for 15 days. During the trial period, VCD and MPEG Tools is fully functional with no restrictions on its use.